How do you measure success? The Custom Measure All Tape Measure is a handy giveaway that offers a product that customers will use for years to come. 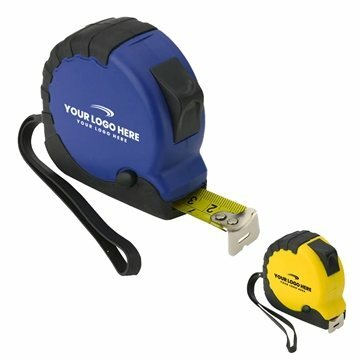 The heavy-duty Custom Measure All Tape Measure is available in 2 color options to help make branding a breeze! • Measure up to your clients expectations by giving them the Custom Measure All Tape Measure. • This small hand tool can be imprinted with your company's logo and message, which will make them great giveaways at your next business event. • The retractable tape measure is clearly marked in both inch and metric measurements. 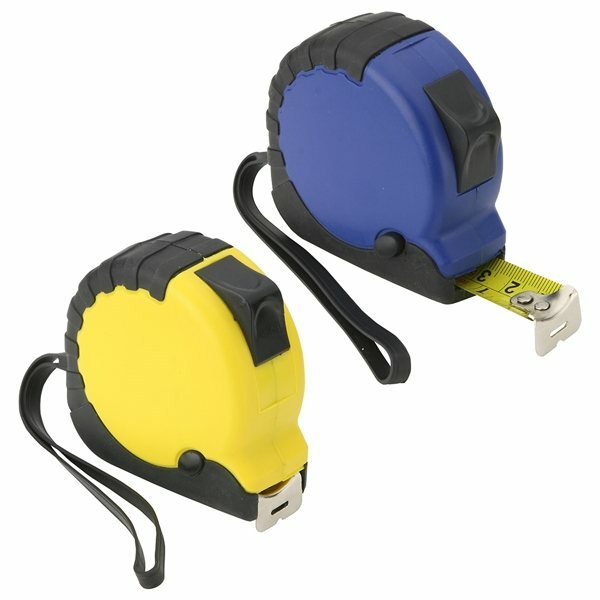 • The Custom Measure All Tape Measure comes in blue and yellow colors. 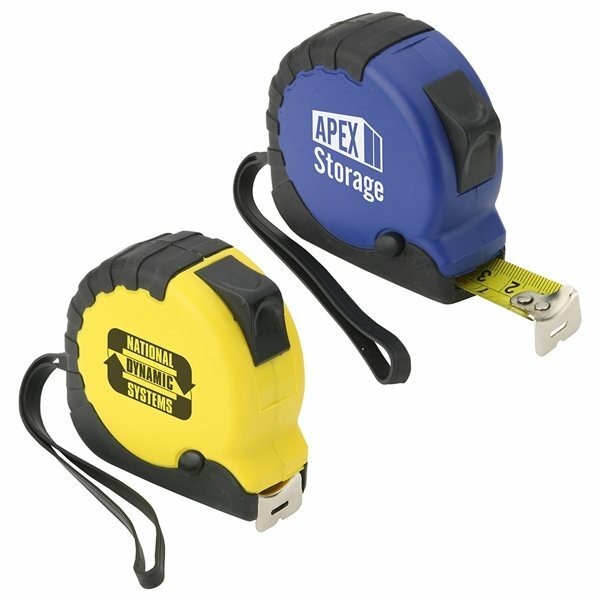 • The Custom Measure All Tape Measure is made from a durable APS plastic. • This measuring tape has a lock button and a metal belt clip making it easy and safe to use. 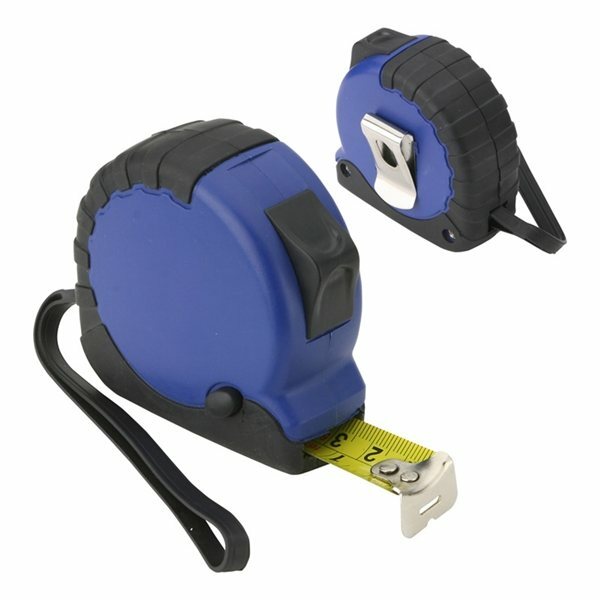 • Both the grip and lanyard on the Custom Measure All Tape Measure are made from rubber. 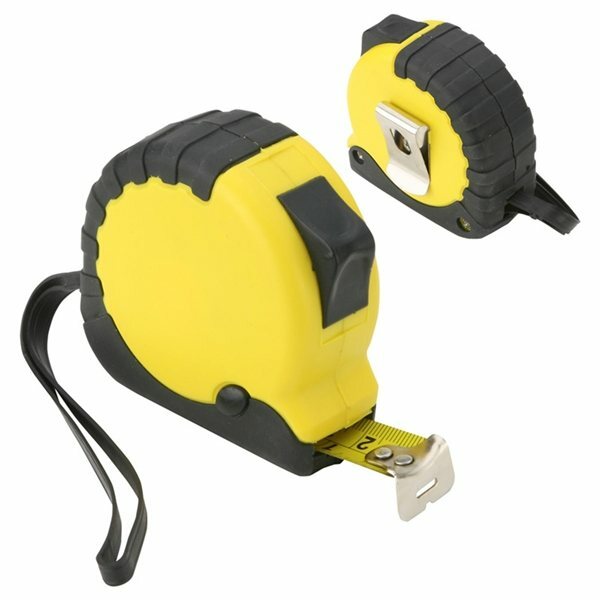 • This heavy duty tape measure will be an asset on any job site. • If you have a new construction business or have your own wood working business, introduce yourself by sending potential clients the Custom Measure All Tape Measure with your name imprinted on it. • The Custom Measure All Tape Measure Is made of: Rubber, ABS, Steel. The custom measure tapes were great. AnyPromo provided excellent service and quality product. .
Top quality and great cost. They've been a significant hit! this product is heavy duty and made of really good quality. The print job was fabulous. A great product at very affordable price. They were well received by the attendees at the convention. We received our order rapidly also it looked great. color and imprint.